One side regular tacky, one side specific for dry flies. 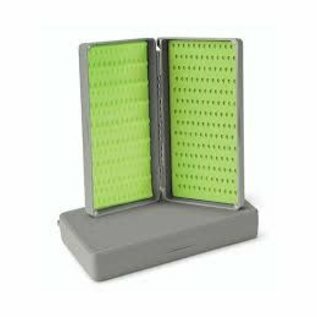 A new addition to the collaboration series of fly boxes from Orvis and Tacky. 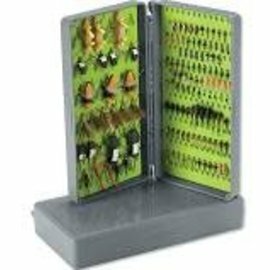 The Tacky Dry Side Box comes in the custom Orvis color and offers space for 367 flies. 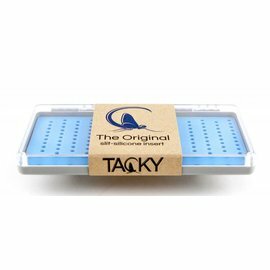 One side of the box is the Original Tacky Mat, but the other side features Tacky's new Dry Fly Mat. 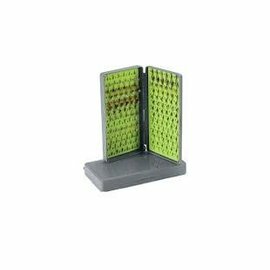 This 3D mat provides all the empty space necessary to protect hackles and tails on dry flies, eliminating the damage often done in conventional fly boxes. Polycarbonate construction for a durable and attractive box. 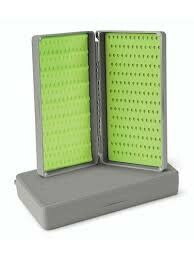 Tacky's mat material is silicone which holds flies tighter and does not deteriorate like conventional foam. Secure magnetic closure. In gray. 7"L x 3¾"W x 1¼"D. Imported.